Get clean, chemical-free, hot or cold drinking water at your home or office with this convenient Counter Top Water Purifier and Dispenser. 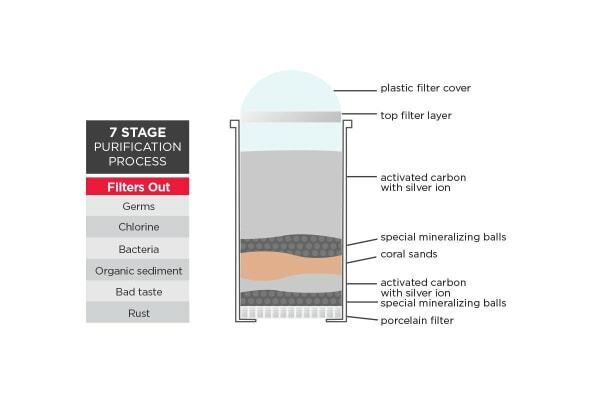 With 7 Stages of Advanced Filtration, the Kogan Counter Top Water Purifier and Dispenser ensures that the tap water that comes to you is purified and cleaned of any and all harmful chemicals that it may be carrying. 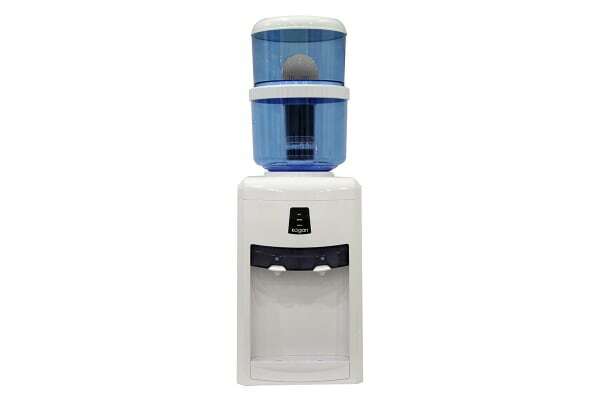 It filters out all the nasty chemicals and stores it in the BPA free dispenser bottle that pours out hot or cold water as per your liking with an easy flick of the nozzle. With this Counter Top Water Purifier and Dispenser at home or in your office, you won’t need to buy bottled water again as the dispenser comes with its own refillable bottle. This translates to big savings both on bottled water as well on avoiding long-term contracts with suppliers.